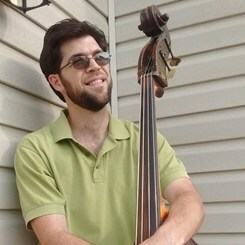 Studied Classical and Jazz Bass and Guitar at Southwestern Community College School for Music Vocations. Performance experience includes Carnegie Hall, the IAJE Jazz Festival in New York City with the vocal jazz group “Voices Iowa,” South African township band “Mahala,” Curb Recording artist Marie Miller and churches in Washington D.C. area. Request Lessons with Jordan today!